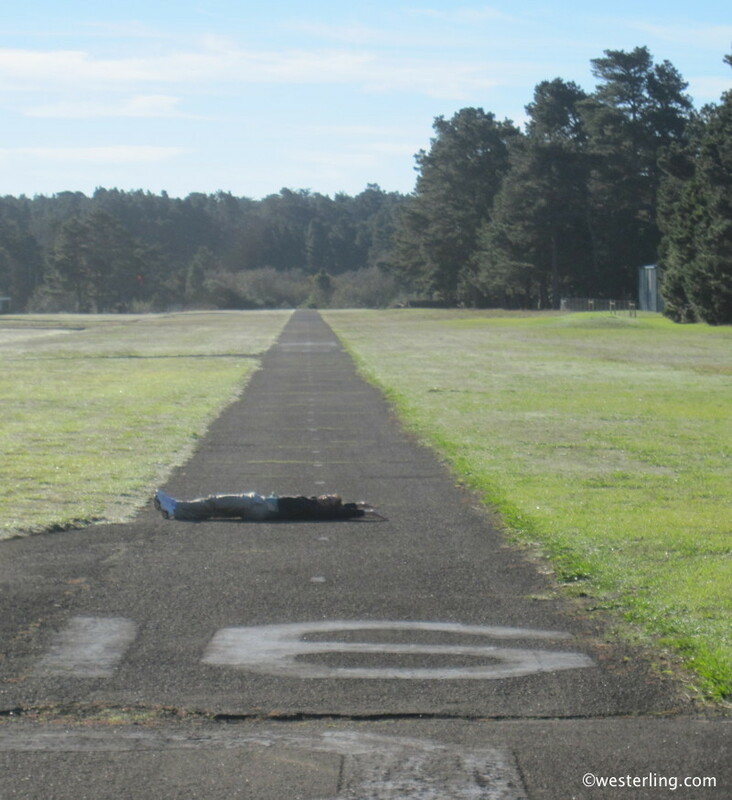 This is me lying across the runway at Ft. Bragg, California airport (82CL). Thankfully there’s plenty of grass on either side of this runway for the planes to land on, but the total width of the asphalt must be only about 12 feet wide! That would make it the thinnest runway in the US that I know of!